File recovery, sometimes called file repair, software is used to retrieve or repair lost or damaged files. Traditional storage mechanisms do not completely erase files upon deletion; they simply reallocate that storage once new memory is required. File recovery software works by accessing the components of deleted files, reconnecting these components, and then saving them for future access. In the case of corrupted or damaged files, repair can be more complicated. But many of these tools also help users repair damaged information in the form of various file types. File Recovery reviews by real, verified users. Find unbiased ratings on user satisfaction, features, and price based on the most reviews available anywhere. 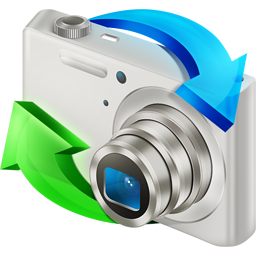 Stellar Phoenix Photo Recovery Platinum is a Photo restoration software that recovers lost or deleted photos, audio, and video files from a variety of storage devices, and repairs corrupt or distorted photos with JPEG or JPG extension. ChronoSync is a complete, all-in-one solution for file synchronizations, backups, bootable backups and cloud storage. iolo Search and Recover recovers accidentally deleted files, photos, songs and emails, Recovers from drives and popular email programs and offers one-click restoration to make it quick and easy. NTFS Recovery is a fully automatic utility that recovers data from damaged or formatted disks. It is designed with a home user in mind. You don't need to have any special knowledge of disk recovery. DiskInternals NTFS Recovery supports the following file systems - NTFS, NTFS4, NTFS5. Corrupted, deleted or reformatted partitions pose no problem for you if you have DiskInternals Partition Recovery, which supports: FAT12, FAT16, FAT32, VFAT, NTFS, NTFS4 and NTFS5. DiskInternals Partition Recovery is an advanced software tool, which is intended for all users, who need to recover some data or lost partitions. 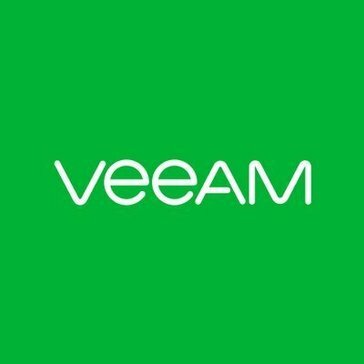 Supports a multitude of file systems, including Ext2, Ext3, Ext4. 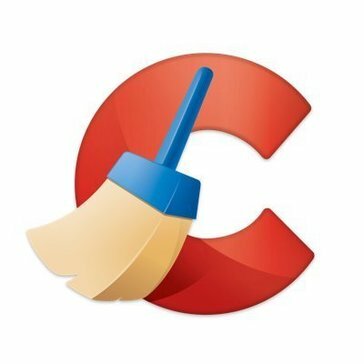 Mail Recovery is an easy to use email recovery software that allows you to recover deleted e-mails and attachments from Thunderbird, 'The Bat', 'IncrediMail', and 'Pegasus Mail' email clients. SysTools SQLite database recovery tool is designed to combat corruption issues that a user faced while accessing SQLite database file. To repair and recover the inaccessible SQLite file, the tool deeply scans the complete corrupt SQLite database. SysTools SQL Server Recovery to analyze and recover database files from corruption issues. SQL Server recovery manager is programmed in such a way that it offers a verified solution to repair SQL master database, also repair a corrupted database, reset the password. Tenorshare Any Data Recovery Pro is easy to use and superb data recovery software, it provides 6 recovery modes to make sure recover everything data which is lost due to any situation. This any data recovery can recover all file type of 550+ formats like word, excel, jpg, png, rmvb, zip, mp3, mp4,etc. for hard disk, external hard drive, USB flash drives, Solid-state drive, etc. with FAT12, FAT16, FAT32, NTFS, HFS, HFS+, EXT2, EXT3 file system. 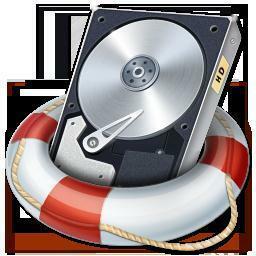 Safely and Easily Recover Lost Data from iPhone, iTunes and iCloud. Recover Text Messages, iMessages, Photos, Contacts, WhatsApp, Notes, Call History, etc. Losing your valuable data is an upsetting situation, therefore we at Recover Data bring forth the most trusted data recovery software that offers protection against any kind of lost, corrupted or deleted data. Ontrack EasyRecovery allows you to recover important files instantly. Recover data on devices ranging from solid state drives (SSDs) to RAID volumes. Complete clever backup file recovery software you can repair corrupted backup file and recover bkf file to restore windows backup file. It agreeably and securely open backup file in harmless manner without trouble. Kernel offers a range of Data Recovery, File Repair, Email Migration, Database Recovery and Password Recovery tools to serve you with appropriate data recovery and pleasing results. MiniTool Mac Data Recovery helps recover lost, deleted, formatted, or corrupted files or folders from Mac.Supported devices: IDE/ATA, SATA, SCSI, USB, Firewire (IEEE1394) hard disks and other media such as USB flash drive, memory stick, memory card, digital camera, digital audio player, and so on. RTT software is the provider of powerful data recovery, undelete, drive image, data security and PC privacy utilities. Stellar Phoenix BKF Recovery is a proficient utility that allows you to extract inaccessible data from a corrupt BKF / ZIP / VHDX file. This software Recovers Microsoft Backup files created using Windows backup utilities. The SysTools Exchange Recovery is a standalone utility for Recovering Damaged Exchange Server EDB Files. The helps in fixing Exchange mailboxes and to Export them in different formats. The repaired EDB can be saved as Outlook PST/MSG or EML. DiskInternals Uneraser™ is the ultimate tool to recover all kinds of deleted files and documents. Featuring sophisticated data recovery technologies that, in Comprehensive mode, can thoroughly scan the entire disk surface looking for familiar types of files and recover files that no other can. VMFS Recovery™ offers a safe, easy way to recover information stored on VMFS-formatted disks. VMFS Recovery™ by DiskInternals is able to repair VMDK files from corrupted or healthy WMware® VMFS, ESX, ESXi, vSphere disks. Bad blocks and physical corruption of hard drives storing the virtual disk images can also cause corruption to VMware® images. Following a simple recommendation, you will be able to recover a deleted VMDK file. Recover files from Windows PC, Mac, recycle bin, hard drive, flash drive, memory card, digital camera, mobile phones, etc. Recover data like image, document, email, audio, video, and more. Easy handle any data loss due to mistakenly deletion, data overwritten, hard drive damage, virus attack, and so on. Aryson Backup Exec BKF Repair Pro is a superlative BKF file recovery solution for Windows users. Aryson SharePoint Server Recovery software provides you an easy and effective way to perform SharePoint data recovery from corrupt MDF file. This advanced SharePoint Server Recovery tool is highly capable to repair SharePoint database which is corrupt or inaccessible due to various reasons. Aryson Windows Data Recovery Software is a complete and an advanced solution for any kind of deleted or lost data recovery from corrupt, damaged or inaccessible FAT16, FAT32, NTFS, and NTFS5 partitions. An eminent tool for any kind of partition recovery and to get back corrupt or deleted images, videos, important documents and other crucial files. Bitwar Data Recovery Software fully compatiable with windows 10/8/Vista/XP,Specialized in Docs, Photo, Video, Music and Archive , Easy 3 steps Recover from SD Card, Memory Stick, PC/MAC, Hard Drive, Camera, USB Drive, Recycle Bin etc.It supports to rescue lost data from accidental deletion,partition format,memory cards have to be formated before use and other common scenarios.We gurantee 100% Safe & Complete Recovery Process. Features: ★ Read only recovery:Just read the lost files and allow you to preview and get back the original data without modification. ★ Preview before recovery:Preview the lost files and check whether the data you need or not. ★ Freely pause & stop Scan process: You can pause or stop the scan process freely,some software just provide stop function. ★ Fast & Deep Scan Mode: Two modes to get your data back for sure.High success rate over 99%. ★ Functional Search & Filter:Search by file name or filter the results by different file types. BKF Recovery Software is a business contiunity software that can repair BKF file created by both Windows NTBackup as well as Symantec Backup Exec. It allows complete recovery and partial recovery. The Backup Recovery Tools series contains amazing Backup Repair and recovery solutions for Windows users. These utilities are highly capable to restore data from corrupt BKF files of Windows System and Exchange Server. The BKF Repair, Exchange BKF Repair, Backup Exec BKF Repair and Backup Exec BKF Repair Pro Tools are constituted in this range. 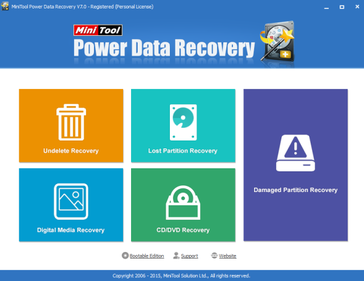 These tools recover the data for both operating system NT-Backup or Symantec Backup Exec. DataInfotools Outlook PST Repair tool is an email recovery software, which recovers data from damaged PST file. DataNumen Backup is the best FREE tool to back up and restore your important data and files. It supports full, incremental and differential backup methods. It will protect your important data from a disaster. DataNumen Outlook Express Drive Recovery is a FREE tool to recover Outlook Express emails from drives & disks directly. As long as you have stored Outlook Express DBX or MBX files on local drives or disks in the past, then for whatever reason you cannot access the Outlook Express emails, you can always use this magic tool to recover the emails for you. Hi there! Can I help you find the best File Recovery solutions?